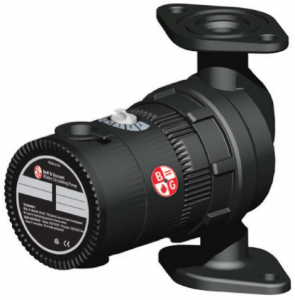 Today, we’re going to be doing a roundup of our favorite hydronic accessories–including several new additions to the Able Distributors catalog. Most of these products will be available at the Able Distributors Hydronic Demo Days event taking place at each of branches throughout the week. Whether boilers make up a majority of your installations or you just have an occasional hydronic job, these accessories are can’t-miss additions to your truck. If you’re looking to step-up your hydronic installations and provide greater value and comfort for your customers, just read on! Able now stocks 4′ x 8′ sheets of diamond plate. As a contractor, your installation is your calling card. If you want to generate word-of-mouth business and create repeat customers, an installation that looks clean and sharp is the best place to start. 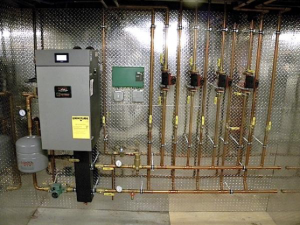 The quickest, most cost-effective way to spruce up any hydronic install is with diamond plate. Adding a sheet of diamond plate behind the equipment and accessories instantly improves the aesthetics. 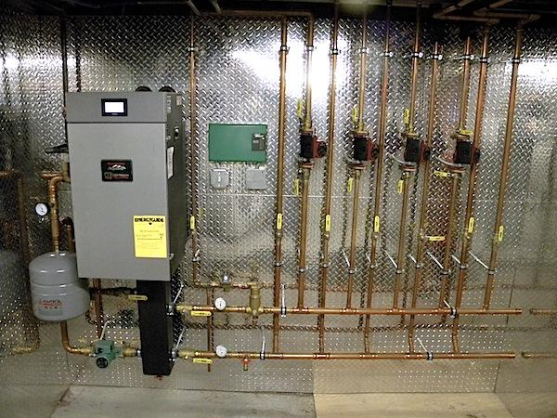 Calefactio is a new addition here at Able Distributors, but they’re not new to hydronics. Based out of Quebec, Calefactio has been in the business for almost 90 years. 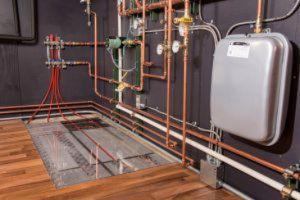 We’re bringing in a trio of products from their catalog that designed to streamline hydronic installations and keep systems running smoothly. First up from Calefactio is their condensate removal system: CondenSAFE. The CondenSAFE unit contains three sections, giving you the flexibility to handle multiple jobs without stocking multiple options. 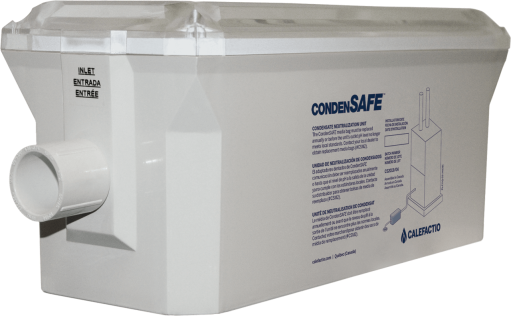 CondenSAFE Kits can be hard piped and they do not require a bypass, making them an option for almost any application. 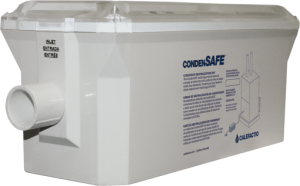 A single-section CondenSAFE Kit is capable of providing neutralization for any system between 50,000 BTU and 525,000 BTU. The best part of the CondenSAFE system is the facts that media replacement is as simple swapping out a bag of neutralization media, you don’t even need to disconnect the unit to replace the media. Next up from Calefactio is the GMP6 glycol makeup package. The GMP6 is a six-gallon hydronic system feeder. Included with it are a 72″ braided connection hose and custom mounting shelf. This system ensures that pressure is always ideal, removes the need for backflow prevention, and helps prevent flooding. With the included hose and shelf, it’s easy to add the GMP6 to any system. The last Calefactio accessory we’re bringing in is their service center. Think of it like a docking station for boiler installations; it has all the connections you need, right where you need them. 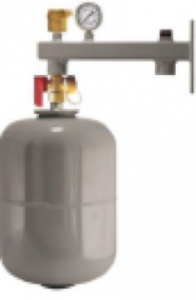 This includes a spot for the boiler hookup, an expansion tank, an air vent and pressure gauge, and finally a GMP or the cold water supply. With this hydronic docking station, it’s easy to keep an installation looking clean and organized. Our final three products have all been covered on the blog before, but a quick refresher never hurt anyone. First up is a relative newcomer to Able’s catalog: Zilmet flat expansion tanks. 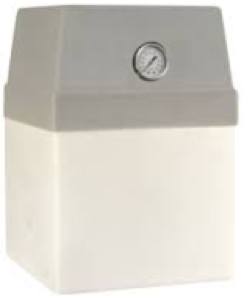 These expansion tanks are perfect for applications where space is at a premium and they look great compared to bulky, cylindrical standard expansion tanks. 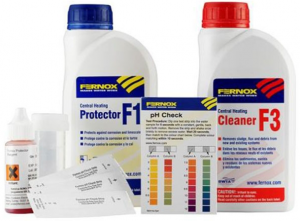 We’d be remiss if we wrote a whole hydronic accessories blog without mentioning Fernox–our favorite source of products to clean, prep, and protect boilers. Their boiler commissioning kits available in Standard and Express (Aerosol) packages. 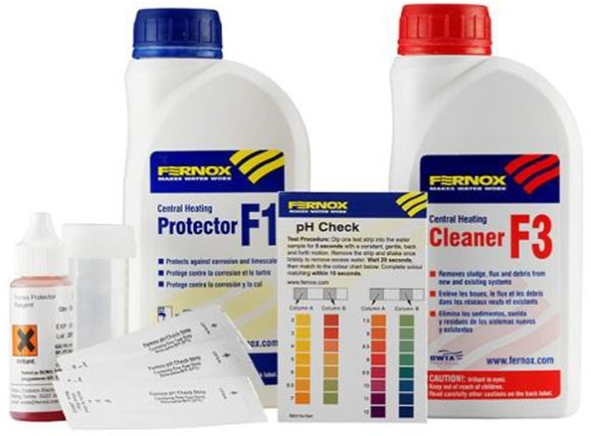 Each comes with Protector F1, Cleaner F3, and pH test strips and the Standard package also includes Fernox Protector Test Strips. Finally, don’t forget that every NTI boiler purchased at Able Distributors also includes an ecocirc vario circulator pump from B&G. These incredibly advanced pumps include step-less speed control, microprocessor-optimized performance, and a shaftless spherical ECM motor. Be sure to stop in during Hydronic Demo Days to see the NTI Demo Trailer, get a hands on with different controls, and check out our favorite hydronic accessories! Would you offer items for purchase to the public? Im trying to purchase the Calefactio service center with fittings. I am afraid we only sell to licensed HVAC contractors. Sorry, David!